We are happy to inform you that you can update your .NET calendar component to the version 3.4 to get a set of useful updates and improvements. The new version brings you accessibility features that include WAI-ARIA support, high-contrast skins and keyboard navigation. To navigate your web calendar without mouse pointers, you can now enable the keyboard navigation. By default, we provide a set of predefined keyboard shortcuts, but you can extend or change them according to your preferences. Read docs for more details. 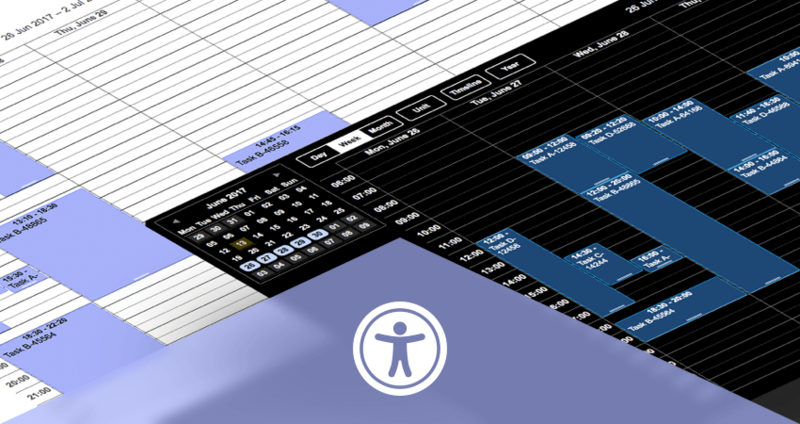 In order to increase accessibility of web interfaces of your applications, WAI-ARIA (Web Accessibility Initiative – Accessible Rich Internet Applications) support is added to Scheduler.NET. WAI-ARIA attributes, that are used in markup, make the component recognizable for screen readers. Following the standards and visual tests, we’ve developed two high-contrast skins that will be helpful for users with some types of disabilities. Starting from the version 3.4, you can enable ext/dhtmlxscheduler_csp.js extension in Scheduler.NET and work with the calendar when Content Security Policy Compliance (CSP) is enabled in your application. This makes your app more secure. 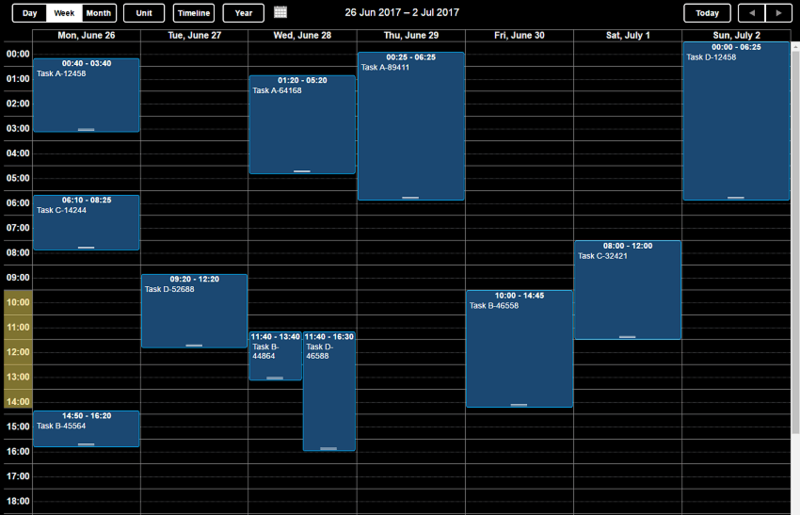 New version of the Scheduler includes multiple improvements and fixes that will make your experience better. Full what’s new list is available here. Starting from today, the evaluation version of Scheduler.NET may require online connection to verify a trial period. If you want to test the library in offline mode, you need to apply a temporary license key. Find out the details. 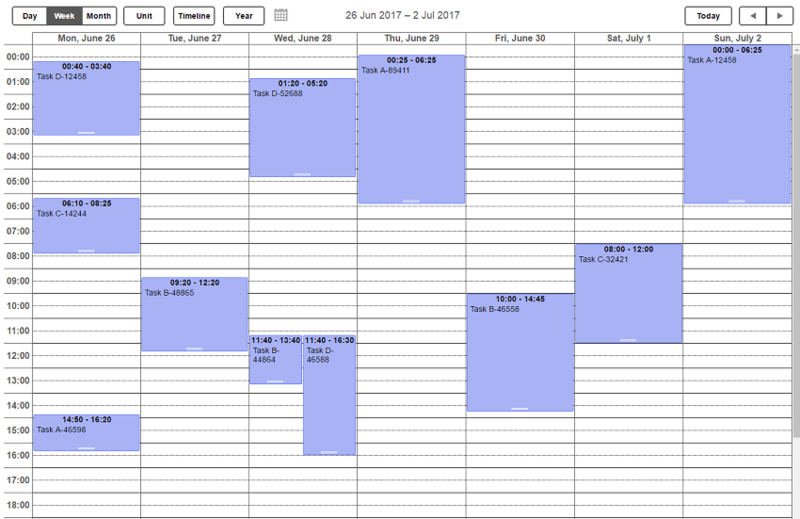 Scheduler.NET 3.4 is available for the licensed users in your Clients Area. Important: when you update the version of the library, you need to get a new license key. Please contact us to get it. If you’re new to our calendar, don’t hesitate to get a free trial.